My mother is an identical twin, which is relevant to my story because she and my aunt gave birth to me and my cousin Craig less than 12 hours apart in the same hospital. Craig and I were raised more like fraternal twins than cousins. Inseparable growing up, we made a pact that we would go to college together. My senior year in high school was challenging, but by some miracle, we were both accepted to the same school and excitedly began planning our shared adventure. Three weeks later, Craig was killed in a skiing accident. In an instant, I faced prom, graduation, and freshman year without my cousin. I left for college in August with a great deal of trepidation. I did not receive any counseling, nor do I remember talking to family about the possibility—or necessity—of deferring school. I struggled enormously. Within months I was on academic probation and, at the end of my fourth semester, ultimately expelled. My mother found the expulsion letter, hidden in my bedroom, and did something she had never really done before. She drew a firm, unyielding boundary, with clear expectations and consequences: I was to get back into school. “Wow, Mom doesn’t understand what ‘expelled’ means,” I remember thinking. Nevertheless, I gave it a shot. I met with the Academic Dean, explained that Craig had died, and promised to be more focused. To my disbelief, he said no. He said to come back in a year if I was still serious. I spent that time working three jobs and found my resolve to return to college growing stronger by the day. Nearly a year later, I was back in the Dean’s office—and this time he said yes. I was admitted again, assuming I kept up my end of the bargain. I met with the Dean every week. It took me six years, but I graduated from college with honors and went on to get my Master’s degree. Craig’s death was a watershed moment in my life. It brought a depth of sadness that quite literally took my breath away, and yet life was moving on, with or without me. For some time, I let the story of Craig’s death be the story of my life. I used it as a reason not to fulfill obligations and to excuse behaviors that were, frankly, inexcusable. The unbending yet loving boundary drawn by my mom, and the faith and support from my Dean, changed the trajectory of my life and taught me lessons I continue to carry. Accountability in the face of tragedy is hard, but necessary. Tragedy cannot be the reason we do not fully step into our potential. Several years after I graduated, I visited the Dean. He told me that I had taught him the importance of giving the dark horse a second chance, and I told him what he taught me: Sometimes we might need extra support, but we should never squander those precious second chances. 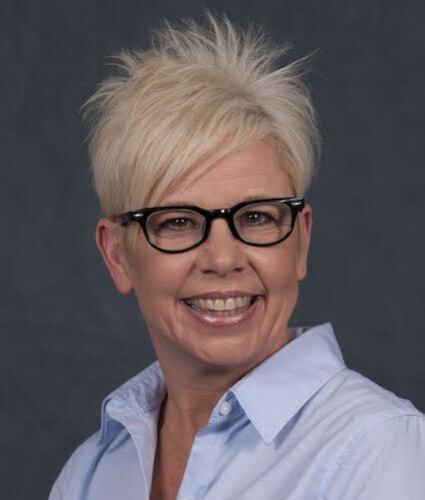 Michelle Palmer is the executive director of Wendt Center for Loss and Healing and a member of the Option B Advisory Board, read more about her here.